In Paris, a woman is crossing the totally snowy Haussmann Boulevard. A snowstorm hit the city of Paris on 18, 19 and 20 January 2013. 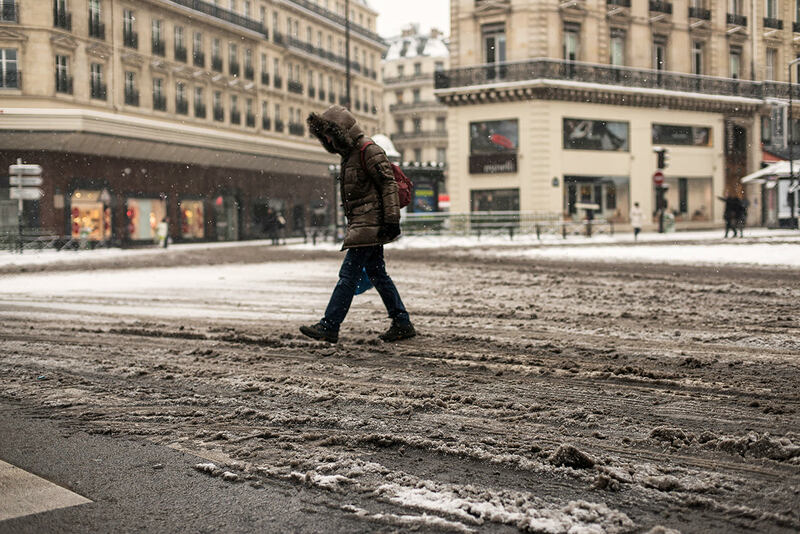 On the completely desert and snow-covered Haussmann Boulevard, a woman crosses protecting herself from the snow. Une tempête de neige s’est abattue sur la ville de Paris les 18, 19 et 20 janvier 2013. 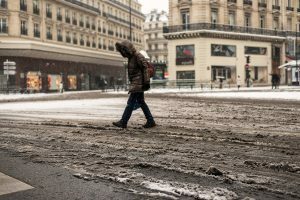 Sur le boulevard Haussmann désert et recouvert de neige, une femme traverse se protégeant de la neige.